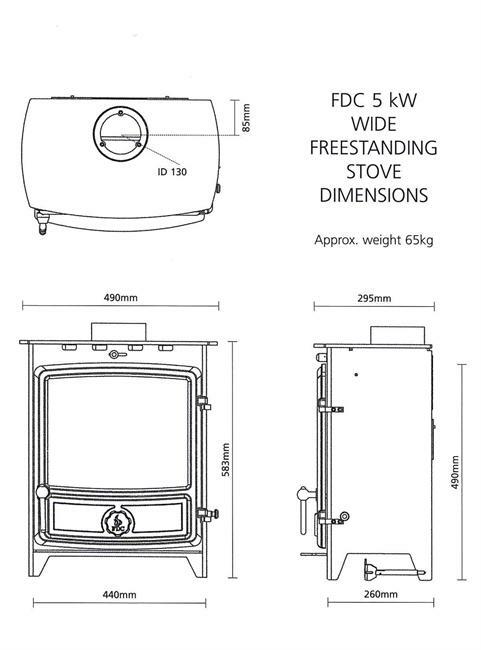 The FDC5 Wide Multifuel stove a wider version of our popular selling FDC5 Stove. An extra 85mm(Width) and 60mm(Height) gives this stove a far larger viewing window of the glourious flames but also allows it to accept a 15" Log. It has a heat output of 5KW and only requires 50mm air gap around the stove making it ideal for smaller openings.